Oregon is a beautifully diverse state and I am lucky enough to spend a lot of time there. Juniper trees dot the rolling landscape of the Painted Hills, National Monument, Oregon, on a chilly spring morning. I hadn't photographed this back area before, but as storms rolled past and sunshine peeked out, I couldn't resist photographing the delicate colors. 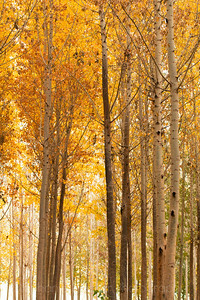 This is a 3-shot panorama shot at 500mm. This shot is a 1:3 ratio, such as a 10x30, 11x33, 12x36, 16,48, or 20x60 etc. print or metal. 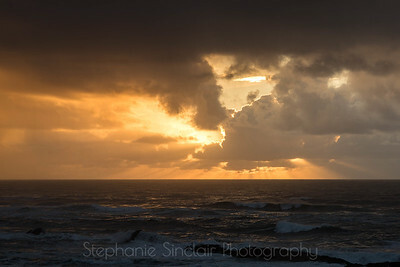 A single shot of my very popular winter coastal stormy sunset in late December near Newport, Oregon. A favorite road trip stop. Nature never ceases to wow me. 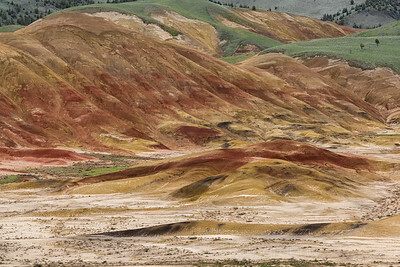 The Painted Hills: One of the Seven Natural Wonders of Oregon. 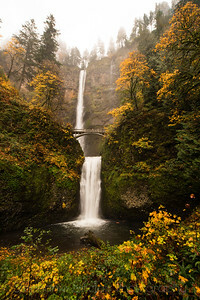 Multnomah Falls with fall color...how perfect! 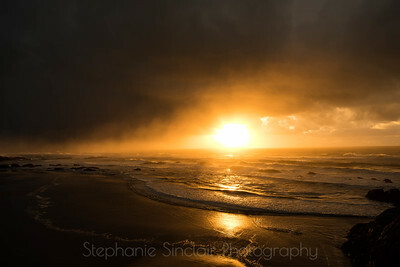 An incredible sunset at Christmastime on the Oregon Coast. This is a two-shot panorama. 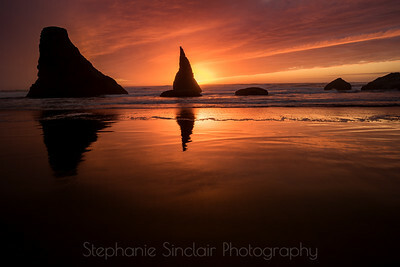 Taken at Seal Rock, near Newport, Oregon. 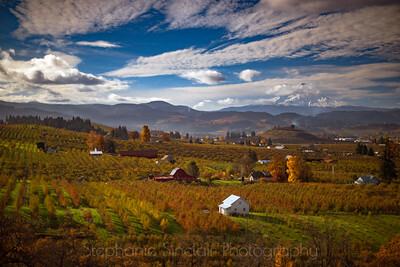 A favorite lookout in the springtime, even more beautiful with fall color and Mt. Hood watching over his rolling hills of farmland. 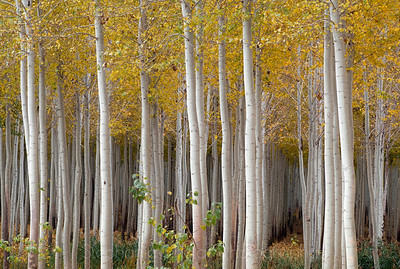 The lovely and mysterious enchanted forest of Eastern Oregon. Beautiful morning light in the enchanted forest. A foggylicious sunrise from Portland's Pittock Mansion, with Mt. Hood and the city just barely visible.